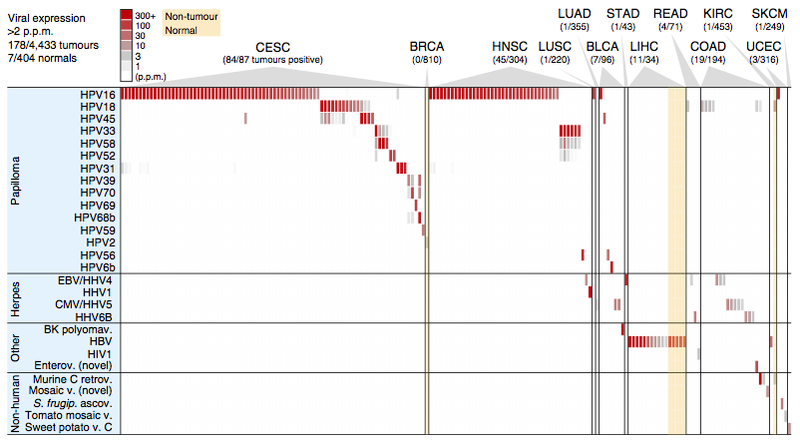 This online resource contains additional results and information in relation to our paper describing the global landscape of viral expression and integration in human cancer. The PDF version of the article is available here. Use the Results link to access detailed visual overviews virus-tumor maps for each cancer type, as well as de novo contig assembly reports.